A white wine from white grapes, elaborated with impeccable care and savoir-faire in the traditional method (“méthode champenoise”). This pale yellow and bright sparkling wine (“crémant”) has a racy and floral nose. Its soft taste is very pleasant on the tongue where all the aromas melt in a long finish. 10 years old on average. carried out with openwork crates to prevent oxidation from damaging the grapes. the pressing is limited to 100 liters of juice for 150 kg of grapes harvested. The bottle-fermentation ( prise de mousse) is started by sugar and yeast adding (liqueur de tirage) and lasts 9 months at least ; the bottles being stored horizontally. Then ,the riddling of the racks (remuage) is carried out : it lasts one month. The disgorging (dégorgement) will make it possible to remove the sediment gathered in the neck. The dosage (liqueur d’expédition) will finally be added and the quantity of sugar included will establish the difference between crémants bruts ( = very dry) and demi -secs ( = half-dry) . 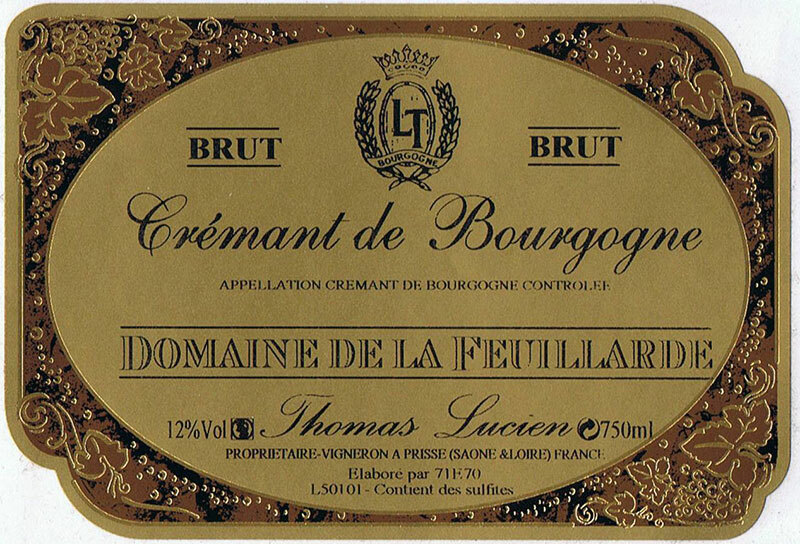 Our Crémant is light, brilliant and fruity ; very lively and with very fine bubbles. The flute-glass is ideally shaped to appreciate it. can be seved as an apéritif, or at a christening party or at a wedding. Can be drunk on its own or can be flavoured with blackcurrant, peach or raspberry liqueur. Should be served between 6 to 8° C . The ice-bucket is its best cradle.